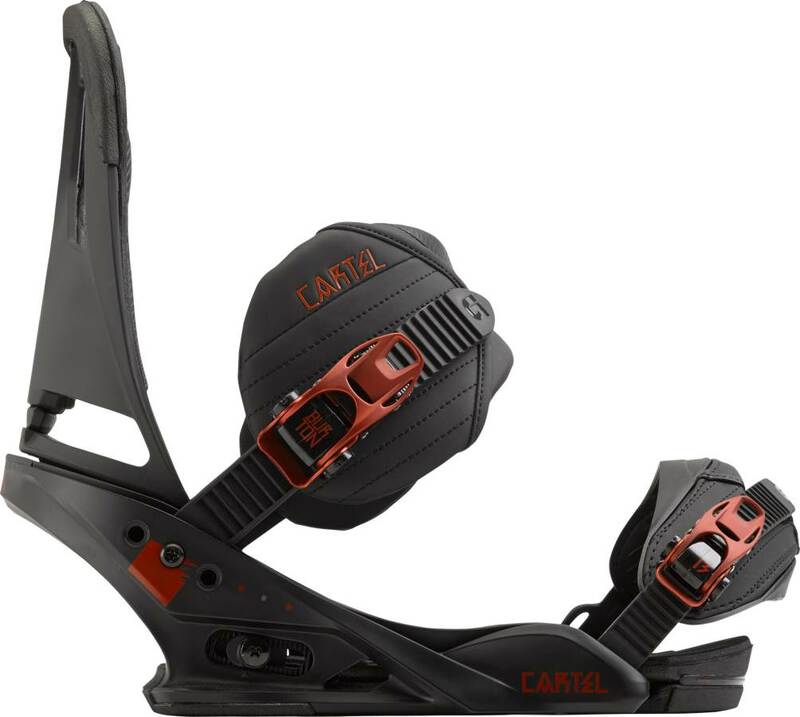 The Burton Cartel Restricted have an ankle strap similar to the Burton Malavita and that is the only difference.. That allows more range of movement for a little more freestyle focused ride compared to the support and all mountain feel of the standard cartels. 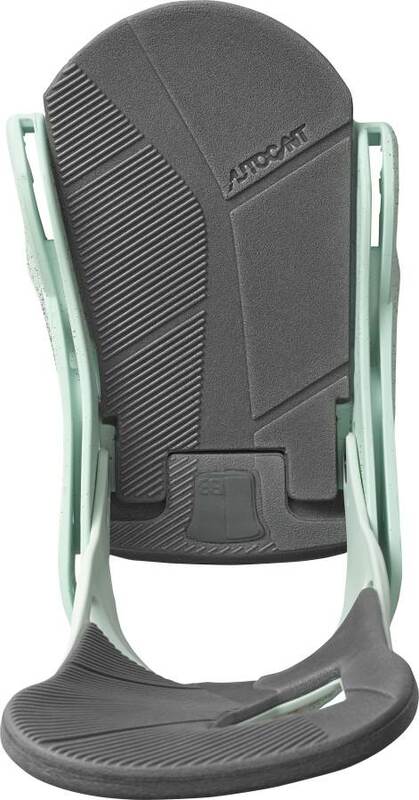 If you like the idea of the Burton Malavita but want a softer flexing high back and better heel-toe response then these might be a great choice. 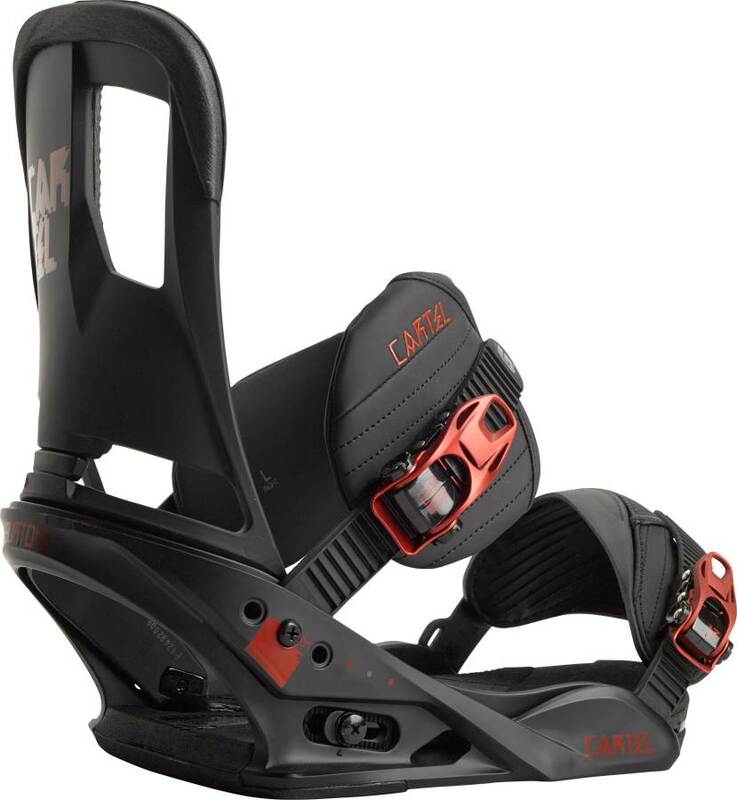 The 2014 Cartel Restricted binding is pretty much the same binding as last year except there is new paint. Riders: James, Peter, and Jimbo. Boots: Burton SLX, Burton Imperials, Burtion Ion and Nike Kaiju. 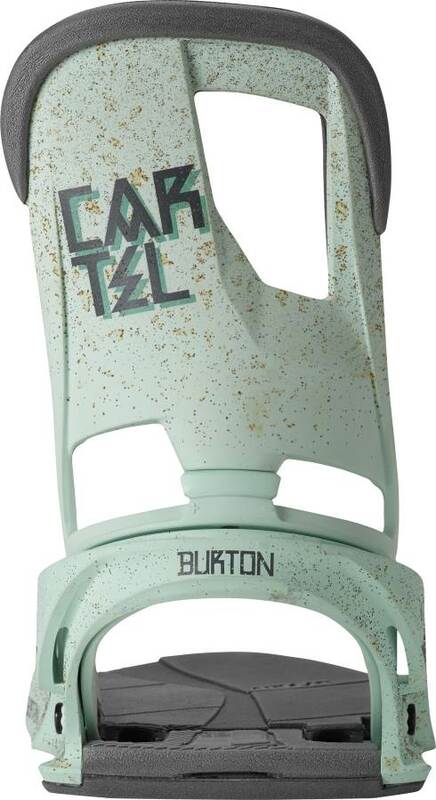 So the Burton Cartel Restricted is pretty much the Cartel with a different strap and different paint. 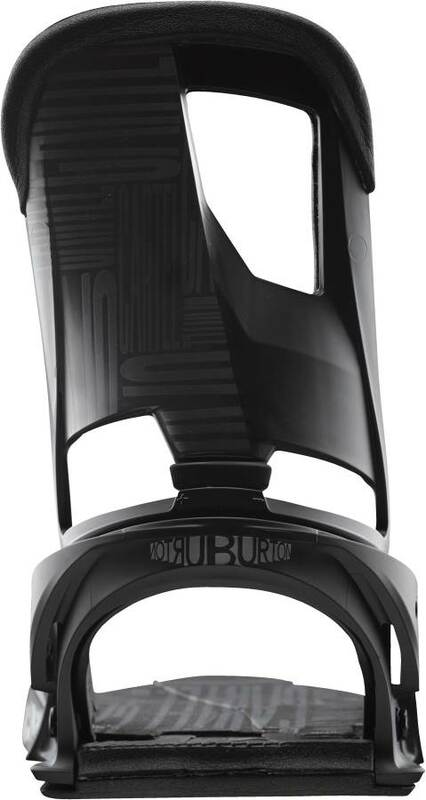 The strap is considerably smaller on the inside then round like the regular Cartel at the top but cut off a little at the bottom. 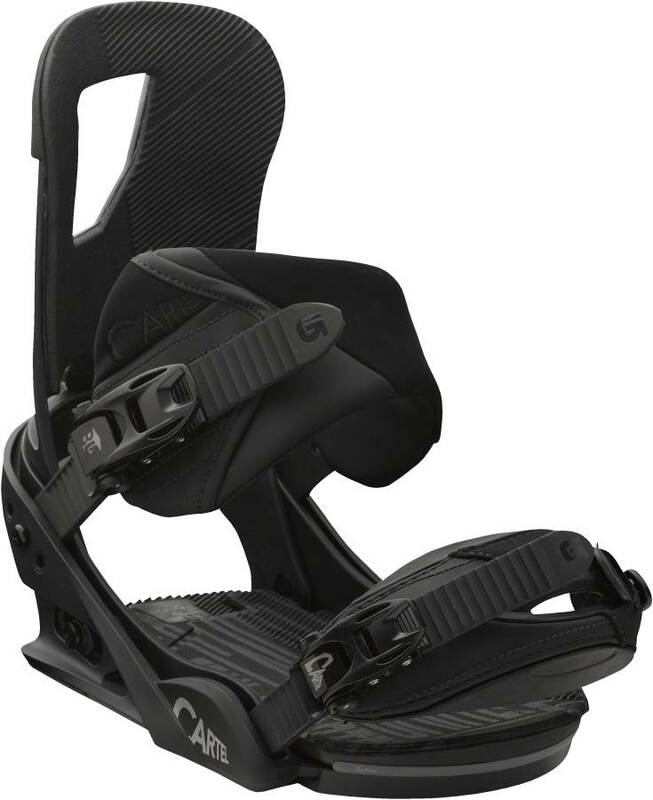 It’s made for more of a freestyle focused ride so you can have a little more freedom of movement. There isn’t much to say about the Cartel Restricted that we haven’t touched on in the Cartel review minus the ankle strap. 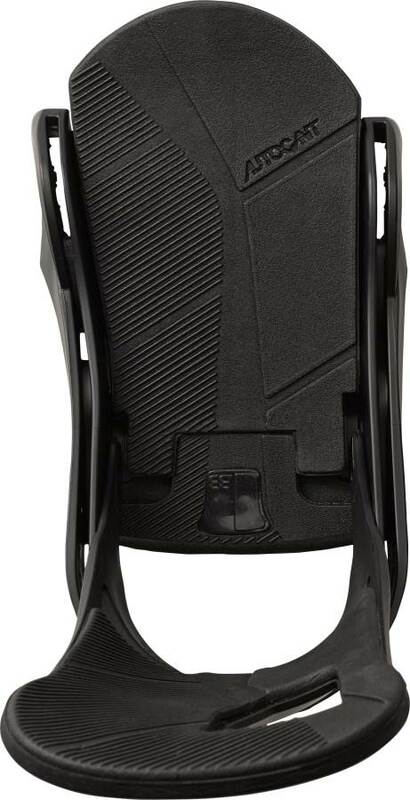 We like the Limited model better on all accounts but this could appeal to someone that likes a little more range of motion on the inside and good support on the outside than the regular Cartel. 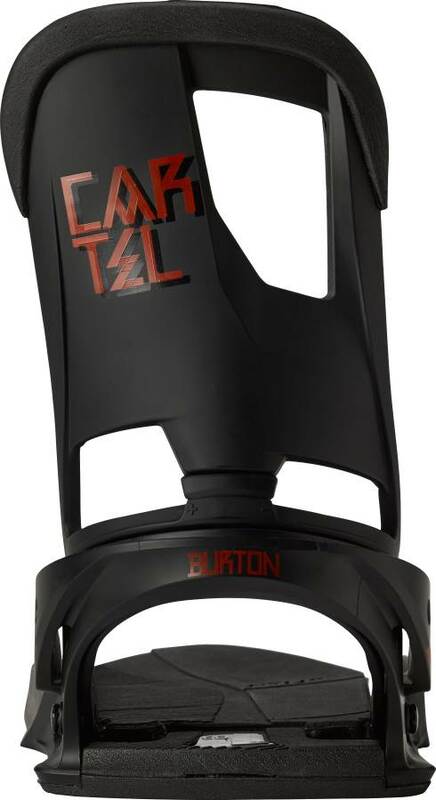 The Burton Cartel is the kind of binding that everyone knows but not everyone is clear on the various models. 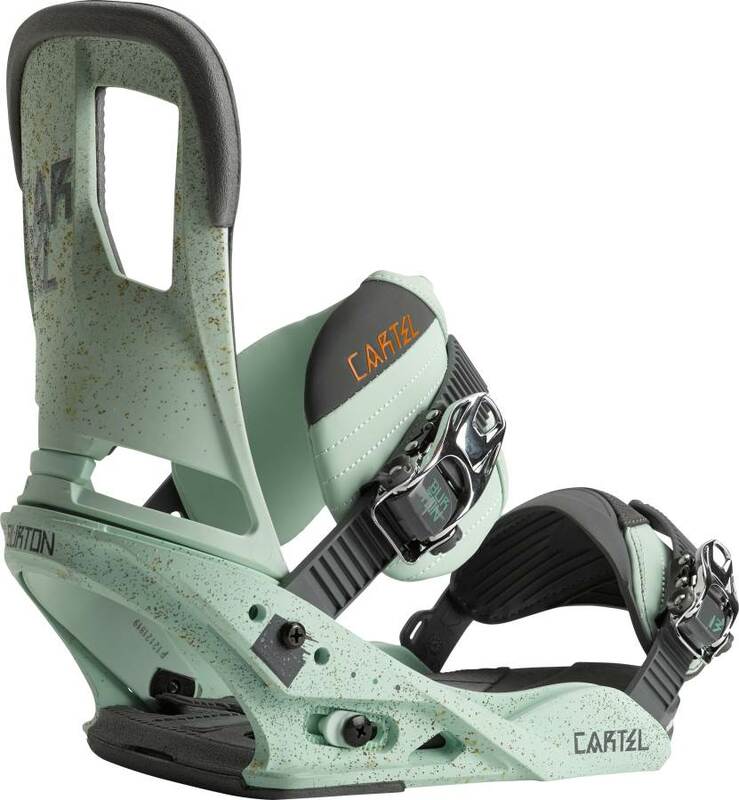 This particular review will compare this model to other models but will mainly be about the Burton Cartel. So let’s start with how it’s changed over the years we have been reviewing it. 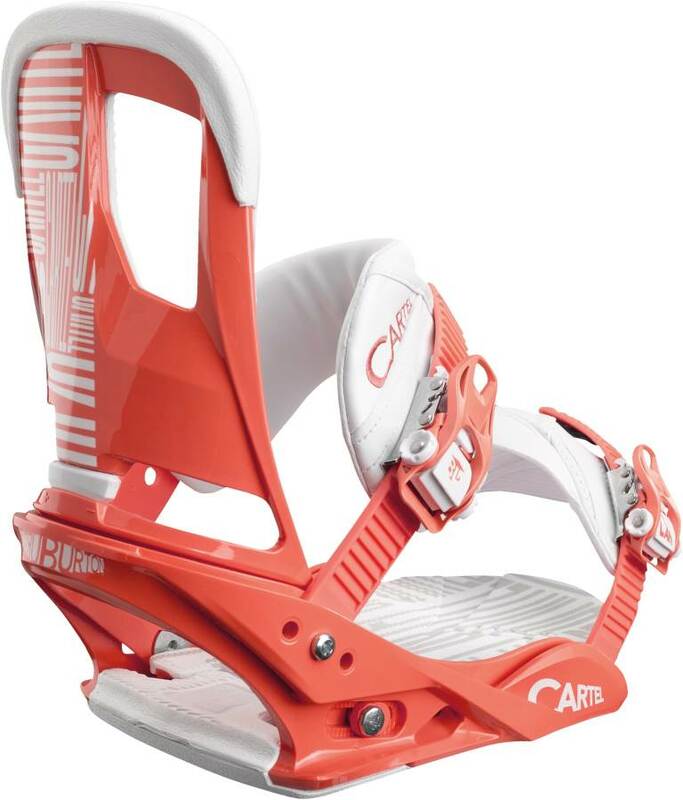 This Cartel (especially the 2013) has a bit more of an all mountain flavor than the Restricted models. Adjustability: Same as the regular Cartel Re:Flex which is excellent. The only complaint is we’d like to see everything tool-less. Comfort: It could be argued that it could be more comfortable for some who like more freedom of movement but other than that it’s pretty much the same set up as the regular cartel. Heel-Toe Response: It’s got a nice smooth response that feels less responsive than it is. 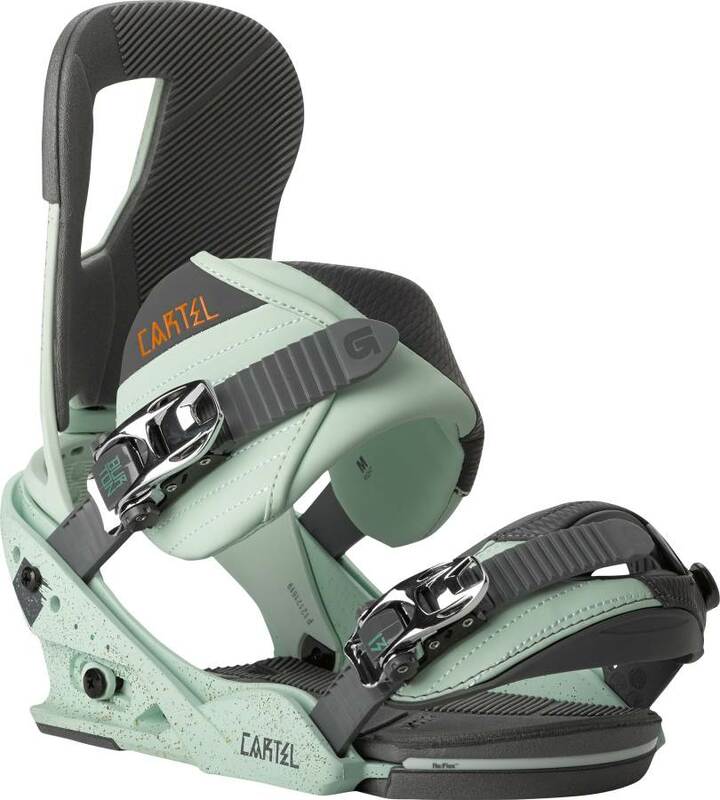 It doesn’t make the board feel as soft underfoot as the Limited but it’s pretty good. 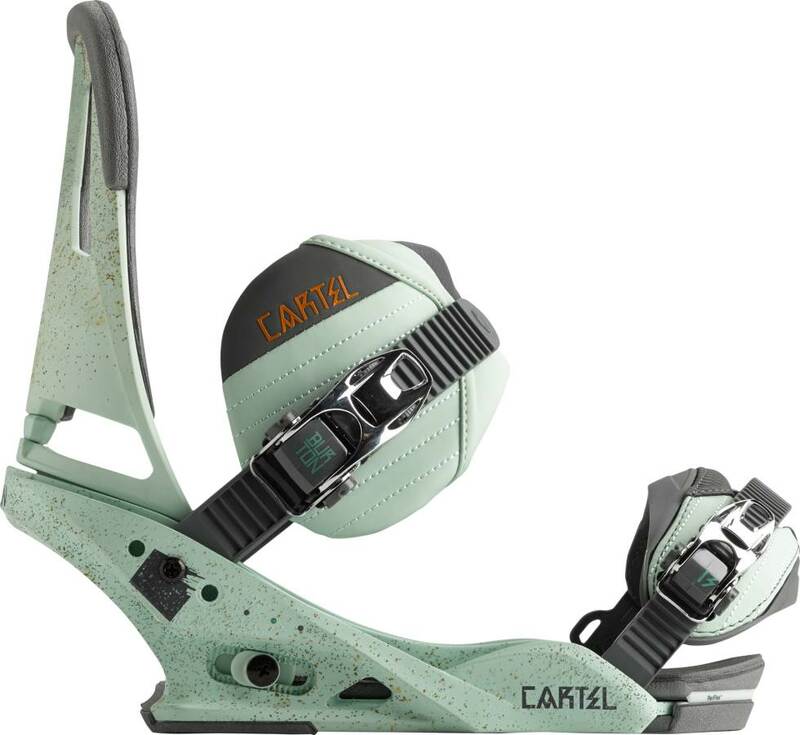 Tip-Tail Response: Very good underfoot but the Cartel’s base plate doesn’t compete with the Limited model or the other EST models. 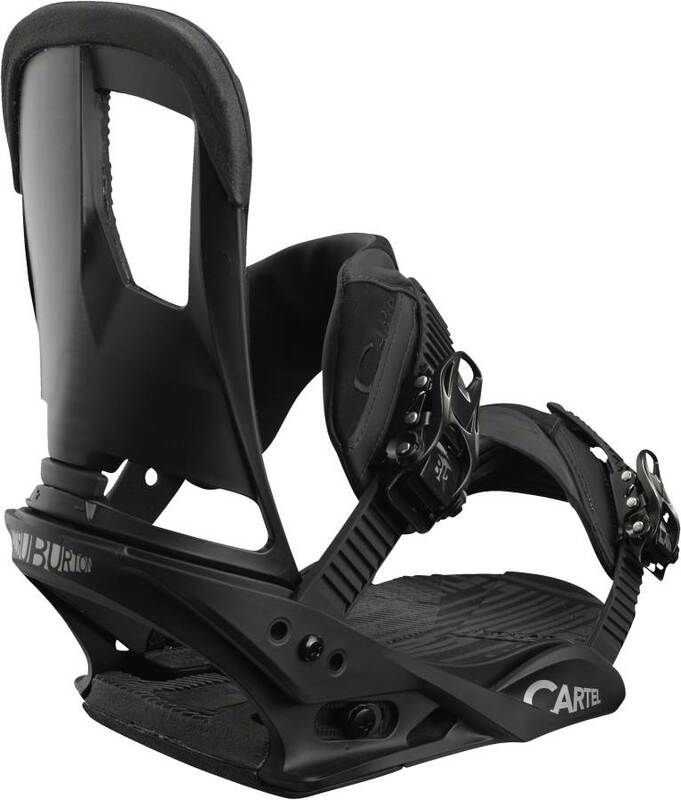 Boot Support: There isn’t as much support as the other bindings but some will like the extra freedom of movement. 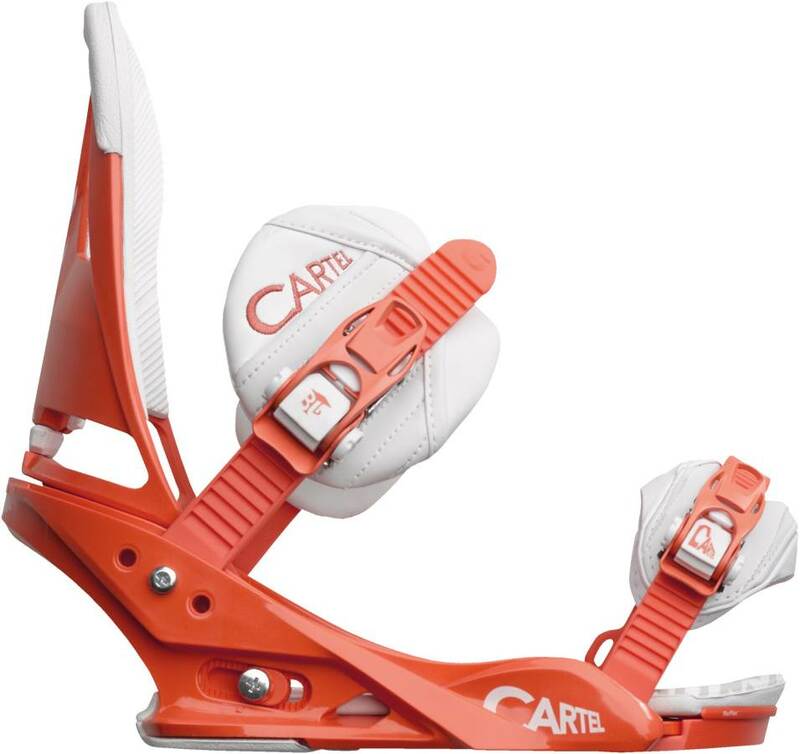 Ratchet System: Same excellent ratchet system as all the high end Burton bindings. 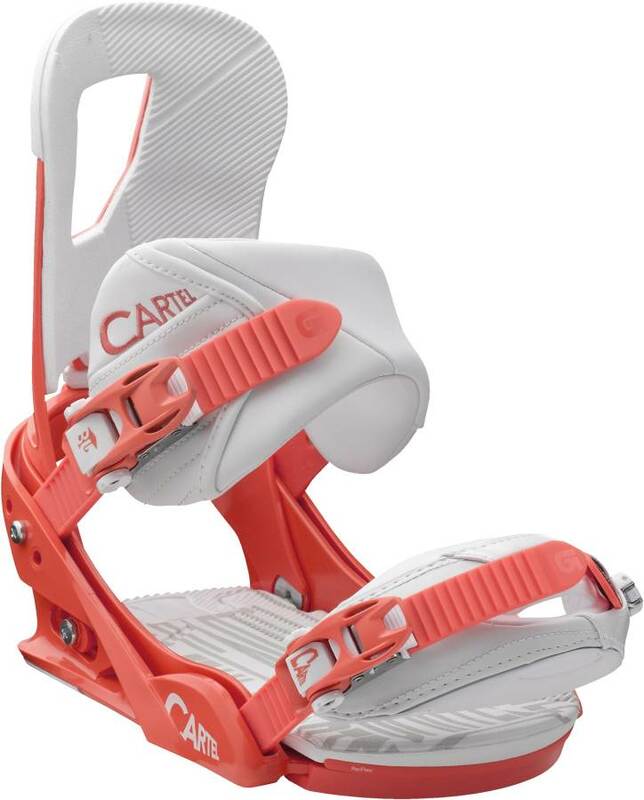 Shock Absorption: Same great shock absorption system as the other Cartel Re:Flex Models. 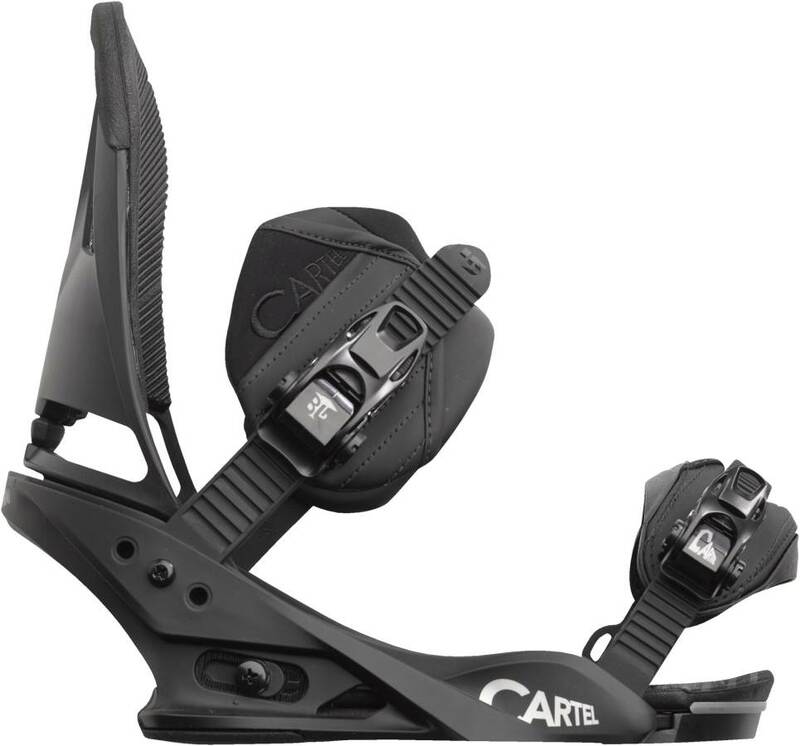 You don’t have a lot over the disc but the heel (most important part) has more shock absorption than any binding in the Burton Line. We try to get as many images of the Burton Cartel Restricted, but forgive us if they're not all there. 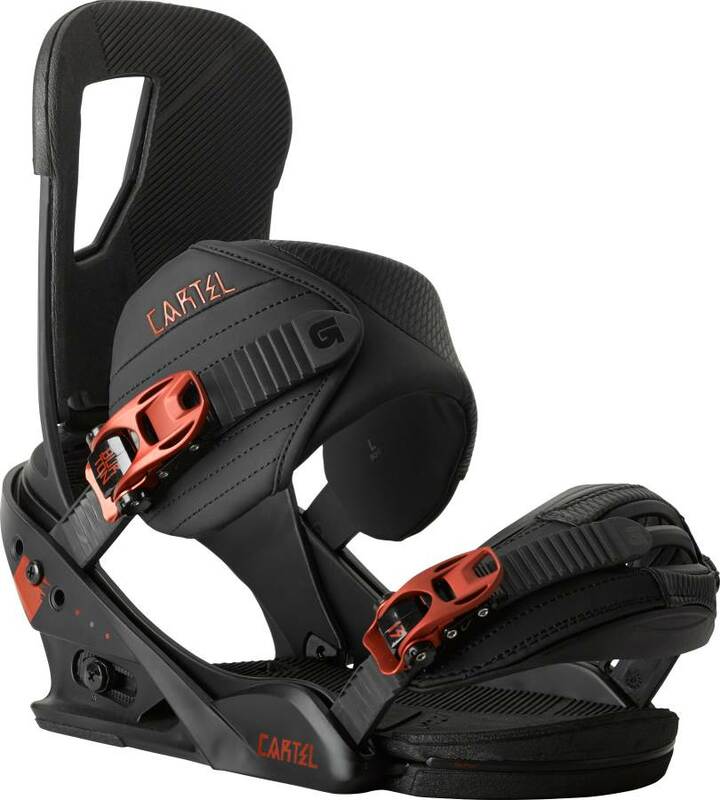 Just to make a point of clarification here; with the Asym strap if you flip the straps, meaning swap between the bindings, the feel changes entirely, thus the name, and more support. 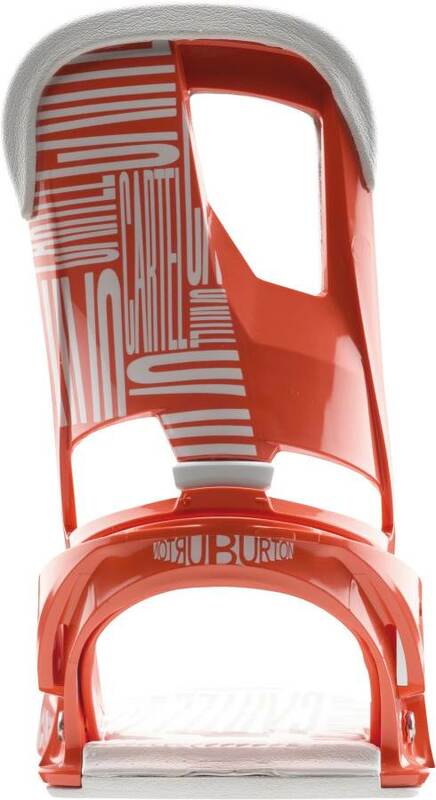 It doesn't seem to be common knowledge that this strap is a step-up and offers more riding options; granted it is confusing especially since the name ends up being upside-down. But still. Just wanted to share that. Otherwise; agree with the review, the binding is great.